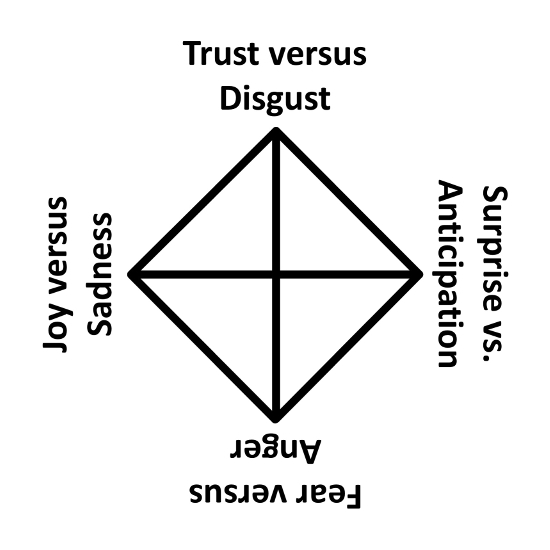 Robert Plutchik devised a schema for eight basic emotions, divided into four pairs of opposites. Each of these also has a weaker and a stronger version (but not shown here). In addition, emotions called dyads can be built by non-opposed combinations of the basic emotions , and each of these twelve dyads has a reverse or opposite emotion, making 24 total. Between any two opposite pairs, two dyads may be considered covariant, and the other two may be considered contravariant. So for the two pairs of opposites A + A’ and B + B’, we have covariant A*B and A’*B’, which are opposite, say C and C’, and contravariant A*B’ and A’*B, which are also opposite, say D and D’. 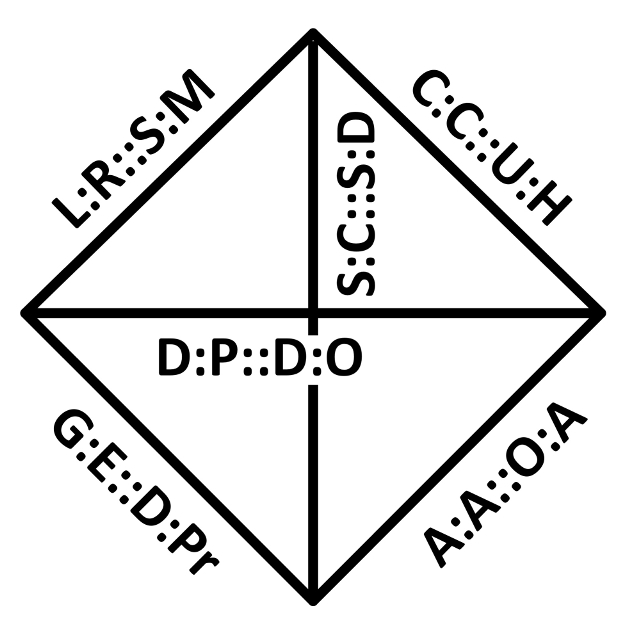 These four dyads are labeled in the diagram as C:C’::D:D’, which I hope is not too confusing.